flanked by matched pear shaped diamonds. 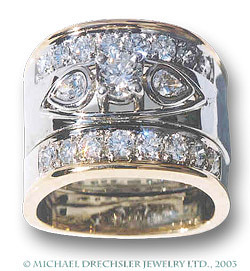 ( 2 = .21 carat, VS+ clarity). This engagement ring is surrounded by a yellow and white gold, diamond wedding band on each side featuring 16 brilliant cut diamonds. 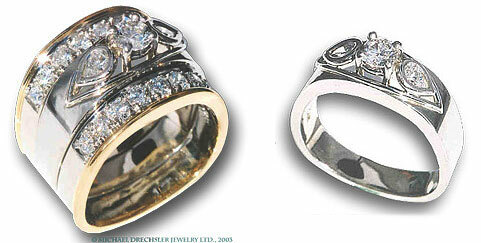 ( each band equaling 0.82 carat, VS1 clarity).